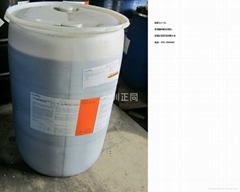 SHEN ZHEN ZHENTON CHEMICAL CO.,LTD is located in BuJi town of Longgang, Shenzhen. Our company is mainly operating different kinds of chemical material of rubber auxiliaries, Dyes Auxiliaries, Personal Care Ingredients, medicine materials , agricultural chemicals raw material , the wash assistant , the oil dope and lots more! With advanced office conditions and convenient and prompt delivery of cargo, we would like to provide highgrade service for our customers.